Remember how upset people were when Facebook started requiring everyone to install the separate Messenger app? Now Instagram is going down the same road, or it's at least strongly considering it. 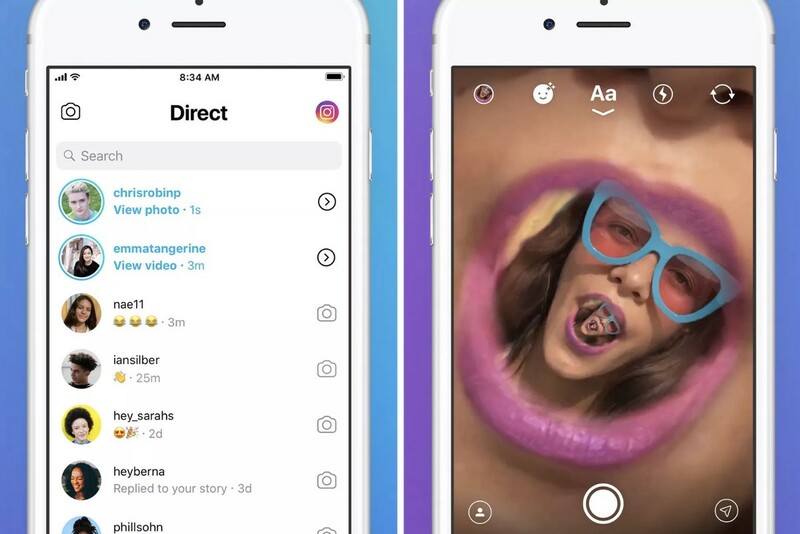 Instagram is testing a new app called Direct that replaces the messaging inbox from the main app and builds an experience around it. The new app is only available in a few countries so far, but it could be rolled out widely later. As of today, Instagram users in Chile, Israel, Italy, Portugal, Turkey, and Uruguay can download Direct on both iOS and Android. Direct opens to the camera, but you can swipe over to the messaging inbox. The camera interface in Direct comes with four exclusive photo and video filters not found in the main Instagram app. Users will have to decide how much they want those new filters, though. Installing Direct means the inbox disappears from the Instagram app. We've all seen apps get too bloated and sluggish, but splitting all an app's functionality into separate apps isn't a good solution either. Instagram's parent company Facebook was able to turn the corner and make Messenger a viable app that people (perhaps reluctantly) use alongside the main Facebook app. Will Direct be the same? Instagram has no timeline to launch it globally, but it'll probably happen eventually. In the meantime, we've got the APK on APK Mirror.